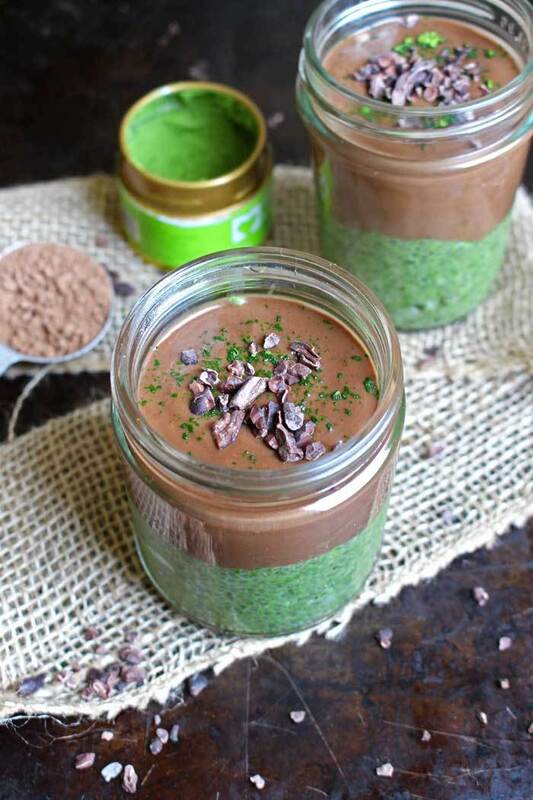 If you’d like a little chocolate with your matcha, this pudding which is free of any refined sugars and is gluten-free, is perfect for dessert but also healthy enough to enjoy for breakfast! 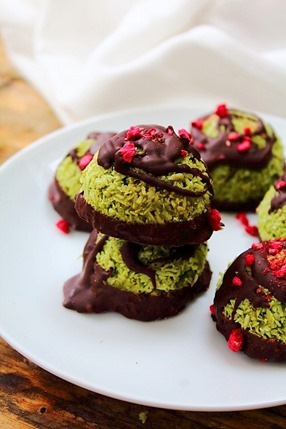 These delectable no-bake macaroons are the perfect combination of matcha, coconut and cacao. 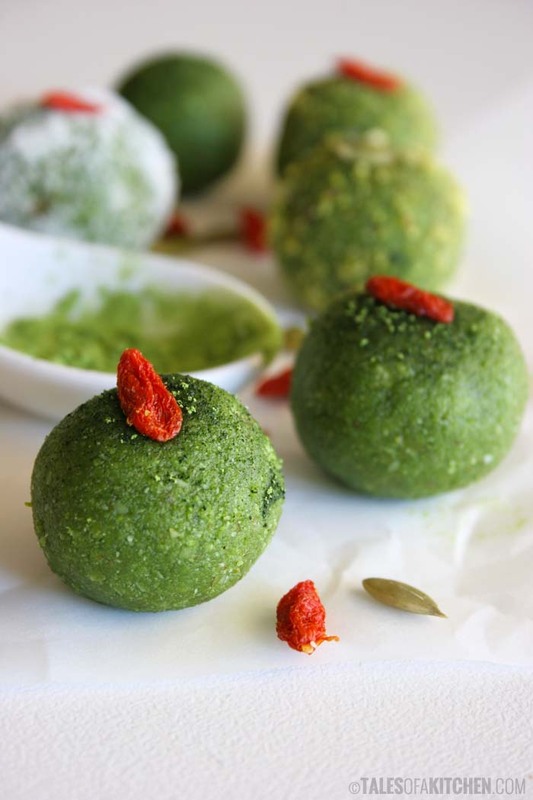 This delicious vegan recipe puts a gourmet twist on the classic sandwich cookie. 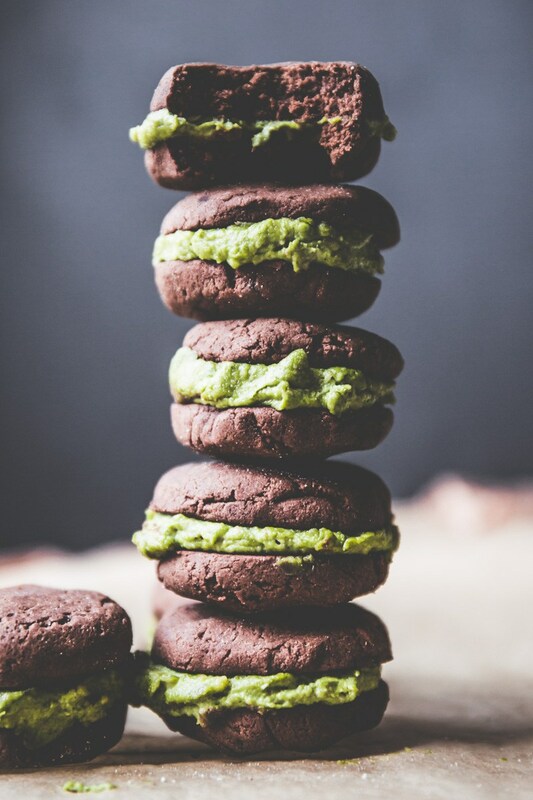 A creamy cashew matcha filling is sandwiched between two perfectly sweet chocolate cookies for a perfect bite. 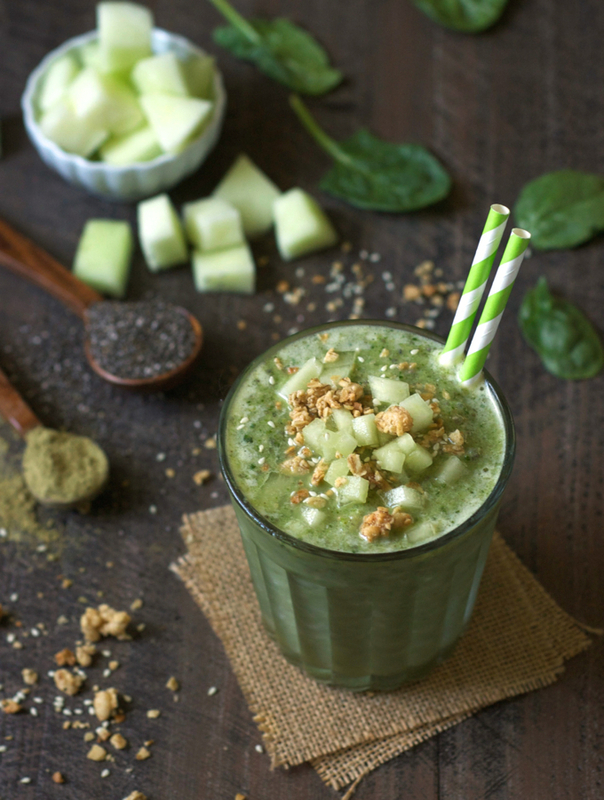 Honeydew is the star of this refreshing smoothie, which contains nutritional powerhouses like spinach and chia seeds in addition to the matcha. 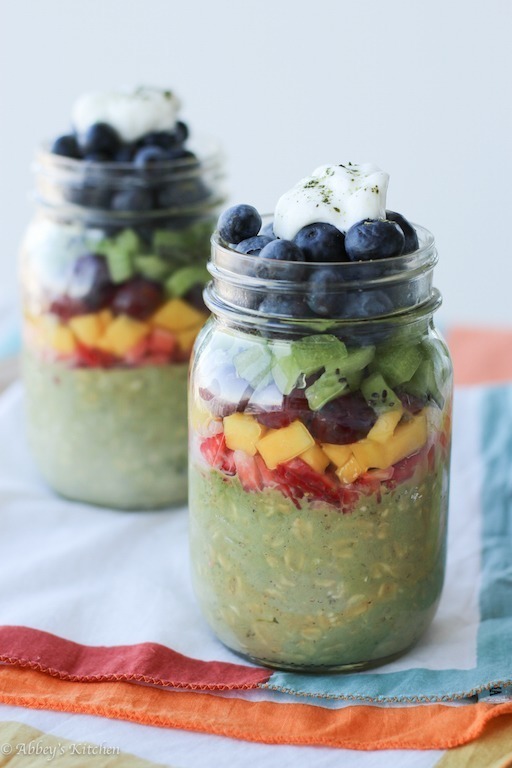 Prep these overnight oats the night before and you’ll wake up to a delicious and nutritious breakfast, which you can top with a rainbow of fresh fruit and shredded coconut. 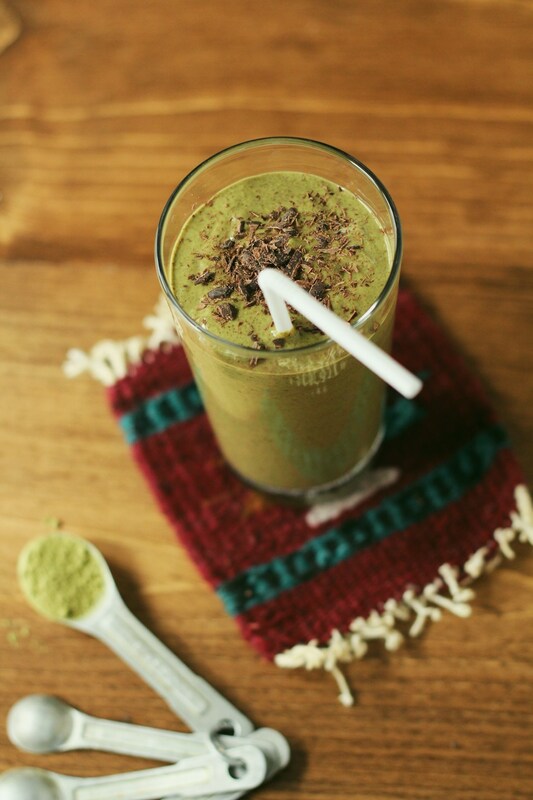 This green smoothie tastes just like a mint chocolate shake! Sweetened naturally with dates. 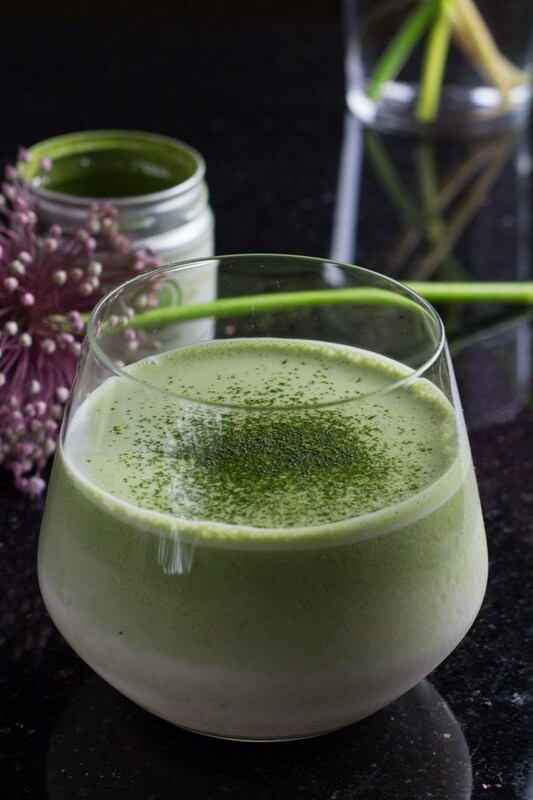 This creamy, satisfying drink has the perfect ratio of coconut to matcha. 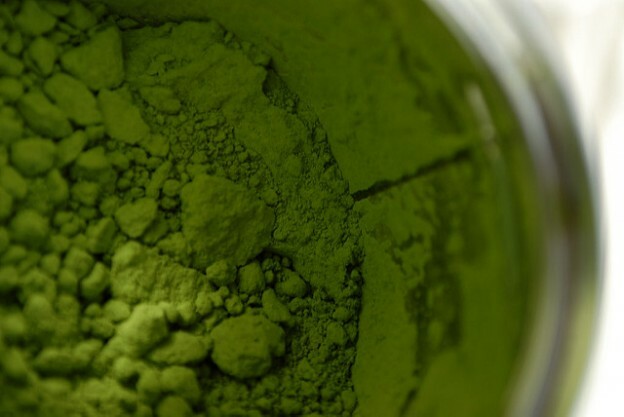 Move over, PB cups! 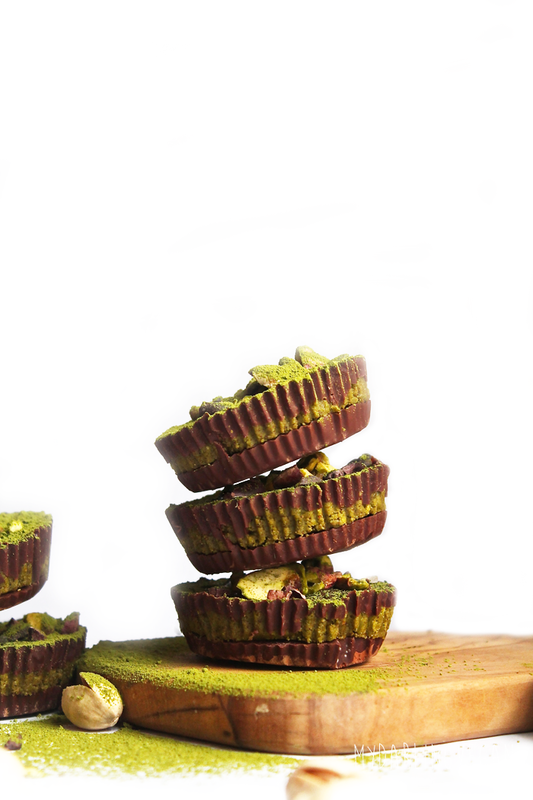 A homemade pistachio and matcha butter is the filling of these beautiful and vegan-friendly chocolate cups. 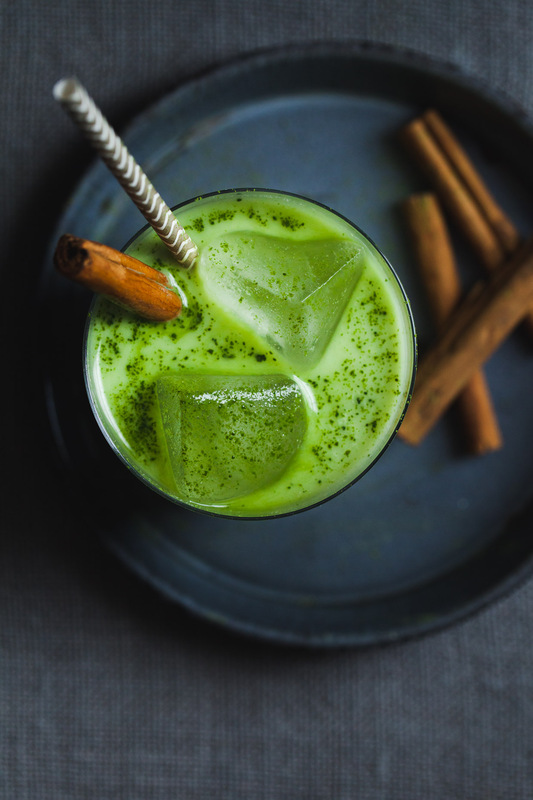 Made with almond milk, this iced latte is a refreshing way to enjoy matcha green tea. 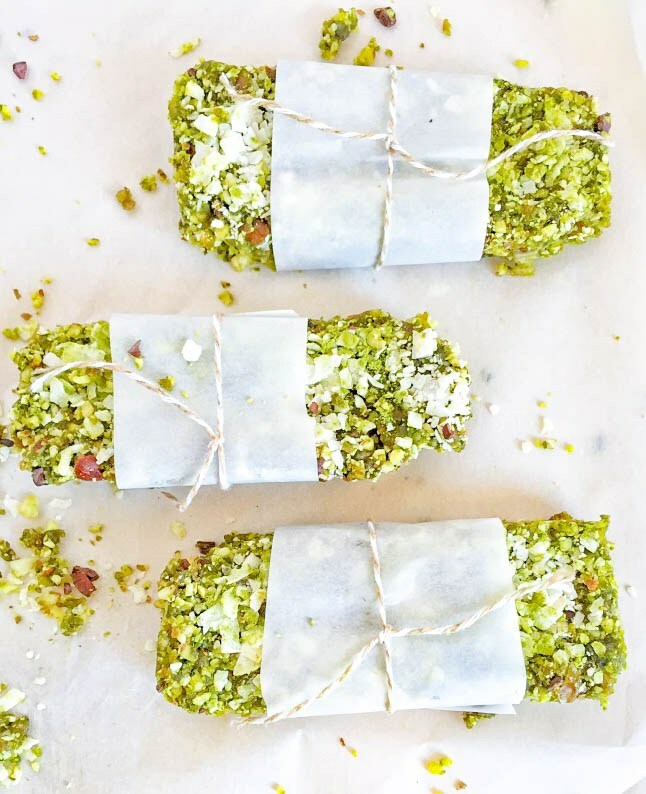 With nuts, seeds, coconut and matcha, these beautiful bars will give you a perfect midday boost of energy. 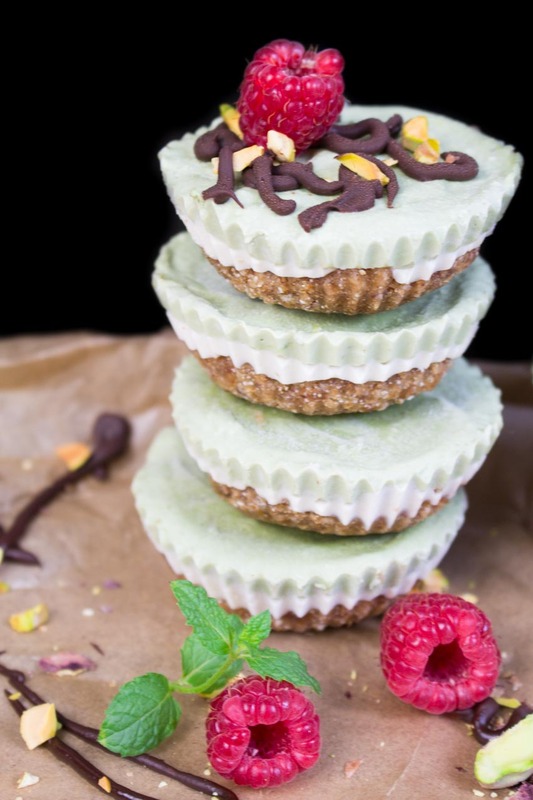 Made with a cashew and coconut cream, these perfectly portioned cheesecakes are vegan-friendly.